The 100th Hungarian town has a rich history. It was formed by seven villages in 1984 with a population of 8,000 people, its name refers to St. Gellért, who was a martyr bishop in the 11th century. 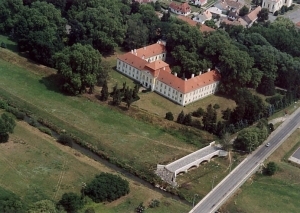 (Gerardus-Grót). It was populated in the Bronze age. The Romans built a crossing place on the river Zala, which was not regulated at that time. The crossing place was protected by a fortress, which became the basis of a mediaeval castle. 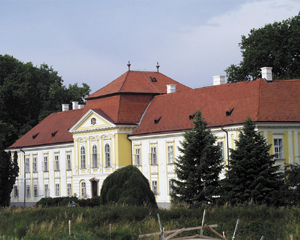 After the Turkish occupation the castle was in ruins, and it was rebuilt as a Renaissance-Baroque mansion in the 18th century by the Batthyány family (today the building is a school and a children's home). In the park you can see plane trees of several hundred years, huge magnolias and other rare plants. Next to the building you can find the Renaissance `small mansion', with a collection of local history, a museum of fire-fighting and a cafe on the ground floor. A Baroque parish church built by the Batthyány family can be found nearby, surrounded by Baroque and modern statues. The famous markets can be visited in the market hall and in the territory around it (from 8 to 11 on Thursdays). Here you can see a historical monument and a lovely fountain. A symbol of the town is the renewed 19th century stone bridge. 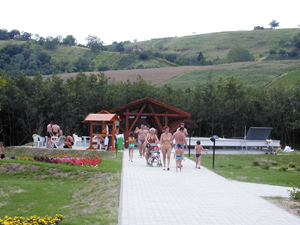 The Thermal Bath and Leisure centre with its territory of 33 ha with groves offers outdoor sitting, swimming and children's pools, indoor swimming and children's pools, chutes and pleasure bath, sauna, steam cabin, massage, magneto- and light therapy. 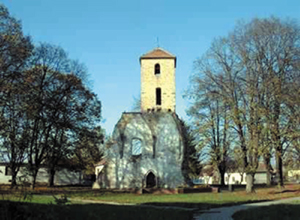 Another symbol of the town is the tower of the 13th century Fransiscan monastery built in early Gothic style. The town centre with its individual character, and St. Stephen square were designed by architect Imre Makovecz. From the square you can get to the Community centre with an elementary arts school. In the little park between the music school and the town hall you can find the bust of Ferenc Deák, who founded the reading circle of the town and was the first representative at the parliament. (by sculptor László Kutas). The town's arts groups, folk artists and handicraftsmen are well-known in Europe. The town offers accommodation of different categories for those who wish to ride a horse, go on excursions, cycle, fish or hunt or who just want to try the special food and wines of Zala.